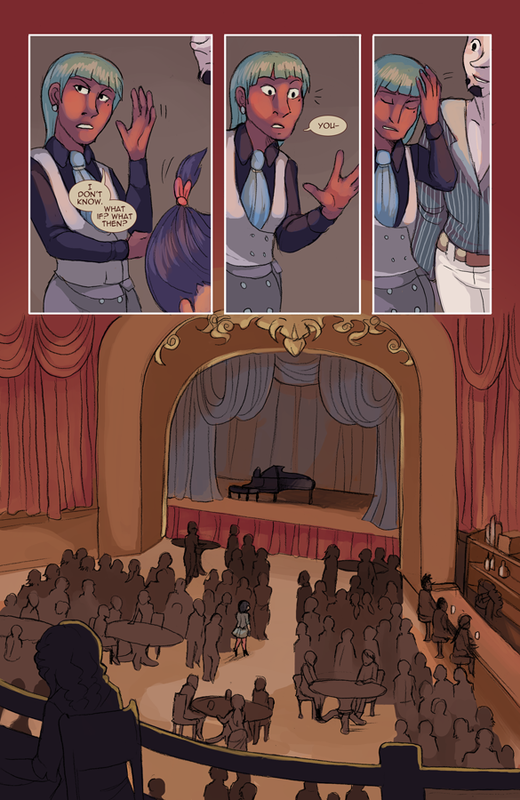 the chapter took the longest to draw/color by far because i kept insisting on pages like this… i won’t learn. You are a champ for pounding out all these establishing shots! Also Lucky how do you keep sneaking away. thx u!!! somehow the next chapter is even more lousy with annoying establishing shots. buildings man, why! and lucky has the mysterious powers all short people possess.